It isn't the latest and greatest thing; it isn't on anyone's "Bucket List." For that reason, they look for alternative solutions to their problem. Although they are something I actively discuss with people, they are rarely the way to go. In most instances, bankruptcy beats the alternatives hands-down! Negotiate medical debt. There are many things that you can do to lower medical debt and work things out with the providers. However, if other debts are weighing you down, like credit cards, this will most likely not be enough to solve your financial problems. Debt Consolidation Payment Plans. There are a lot of companies out there that prey on people in debt, and you need to be careful who you work with. Although there are good ones, and they can be effective, depending upon your situation. But more overall debt you have, the more difficult it is to reach a monthly payment on all of it that you can afford, even with the interest rate lowered. If you cannot afford to pay off all of your debt in full in three years, it isn't a practical solution. Lump Sum Compromise Payments. Sometimes people look to compromise the debt in a lump sum rather than make payments. However, there are two drawbacks: the "discount" agreed to with the creditor is most times taxable by the IRS, and a compromise still hurts your credit because your creditors were not paid in full. Home Equity Loan. A debt consolidation loan that leverages the equity in your home can be a good solution. It pays off all of the debt, replacing it with one monthly payment, at a lower interest rate, that is paid off at some fixed date in the future. However, with the bad real estate market out there, and so many people "upside down" on their homes, this may well not be an option. Even if it is, you are now trading an unsecured debt that you could have wiped out in a bankruptcy for a secured debt on your home that you will have to pay upon sale or refinance down the road. Short Sale. Although this is an alternative, it is not one I recommend. It is not always less detrimental to your credit score than a foreclosure and does not always result in the unpaid portion being forgiven. It should be considered very carefully. So as you can see, people buried under a mountain of debt that cannot be easily paid off in three years can seldom dig their way out by means other than bankruptcy. It's terrible to say, but it is an "inconvenient truth." 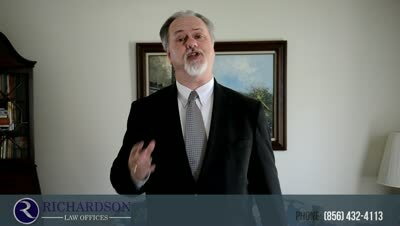 If you live in southern New Jersey and realize that you do need to consider bankruptcy, call my office at 856-432-4113 or contact me through this site to schedule an appointment to come in for a free consultation.